You have a variety of places to live when stationed at MCAS Cherry Point, NC. Located on the Neuse River in North Carolina, you can find homes next to the ocean, the base, or inland in New Bern. New Bern is most like the suburban life you may already know, with your chain stores and restaurants along with the option to live in a comfortable neighborhood or have some space on a little plot of land. 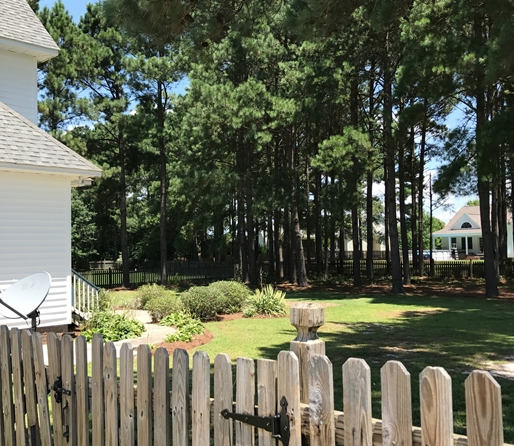 What sets living in New Bern apart from living near the beach is the price tag on the house you want. Just as you’ll find near any coastal city, the further you get from the ocean, the more house you get for your money. So if the beach life isn’t a high priority to you, but having a little space from base is, then New Bern is your best option. 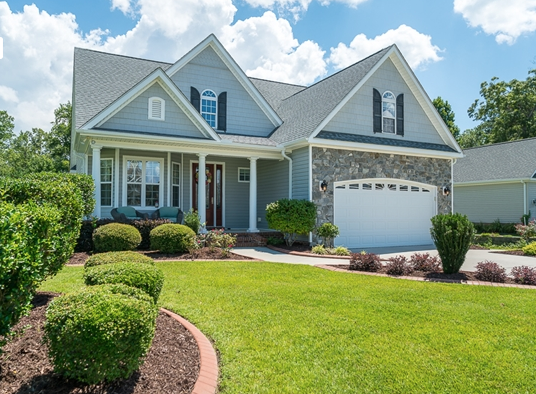 Let's take a tour of three New Bern homes for sale under $300,000. 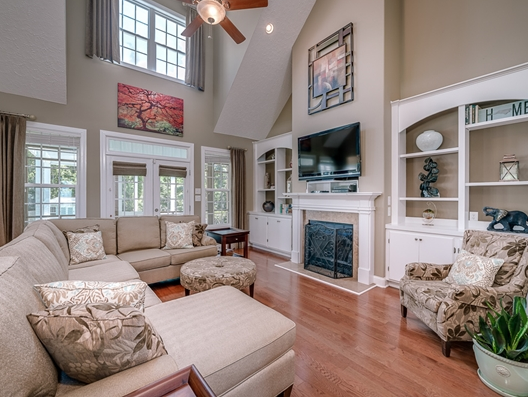 This gorgeous home located in Carolina Pines is full of charm. It has an open floor plan with vaulted ceilings, built-ins, a fireplace, catwalk, large spaces to entertain, and lots of natural light. As you make your way into the kitchen, you’ll notice how spacious it is, along with the stainless steel appliances, granite countertops, custom birch cabinets, a breakfast bar, and eat-in area. You’ll be blown away by the huge master suite that features tray ceilings and new carpet. The bathroom features a jetted tub, stand-up shower, and his and her closets. 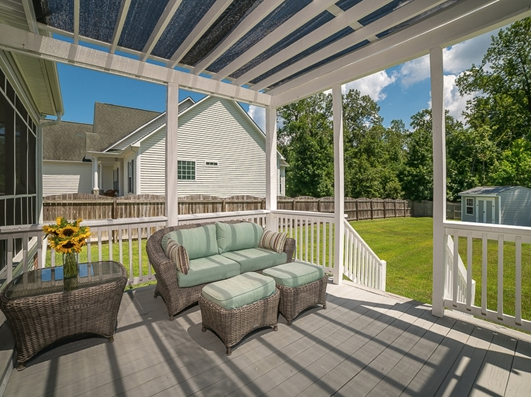 Out back, you’ll have privacy with a large deck and screened-in porch, as well as a fully fenced-in backyard. Bonus? A storage shed for all your garden supplies! 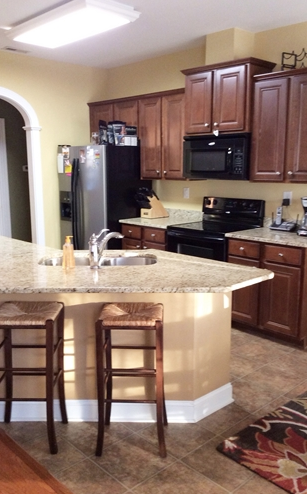 This beautiful home is located less than 15 miles from the back gate of MCAS Cherry Point. It’s also less than a mile from the high ranking Creekside Elementary School, ten minutes from Creekside Park, ten minutes from historic downtown New Bern, and about 30 minutes from Atlantic Beach. Beyond its location, the property’s custom upgrades like hardwood floors, ceramic tile, granite countertops, tray ceilings, fireplace, extended deck, and upgraded molding make this home ideal. The home has three bedrooms, two bathrooms, and a FROG ('finished room over garage') that can be used as a fourth bedroom, study, or play area. The master suite includes a large separate shower and whirlpool tub. Bonus? The home backs up to a common community space--no homes will be built directly behind the property. 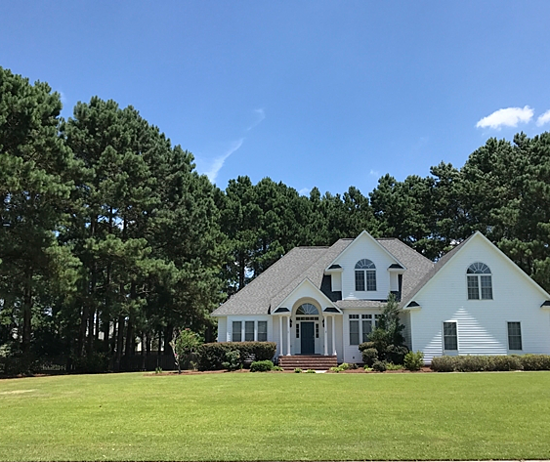 This beautiful home is located in Hunters Ridge, just five minutes from downtown New Bern. 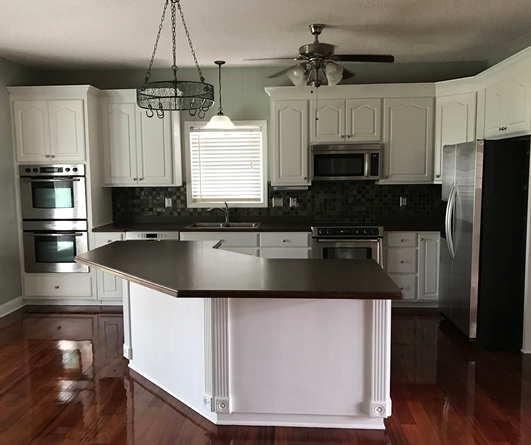 Featuring stunning Brazilian cherry hardwood floors on the lower level, the kitchen has beautiful white cabinets, a large island with storage, double wall oven, and stainless steel Bosch appliances. Also on the first floor is the master suite which has a garden tub and dual sinks. Upstairs, you’ll find the another bedroom, a full bathroom, and a FROG which can be used as an additional bedroom, study, or play area. 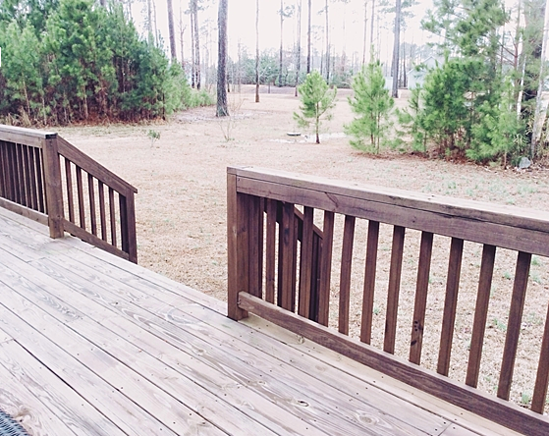 Out back, you'll find a large fenced-in yard with pine trees along the property line. Bonus? The property is veteran owned, and there is a boat ramp just behind the development. 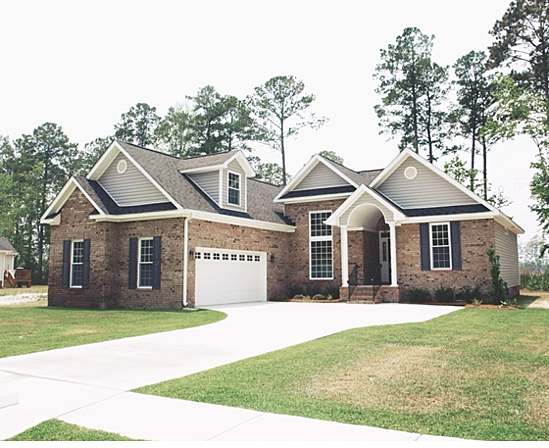 For more housing options near MCAS Cherry Point, check out these other homes for sale or rent in New Bern.